This is my sum dog results. 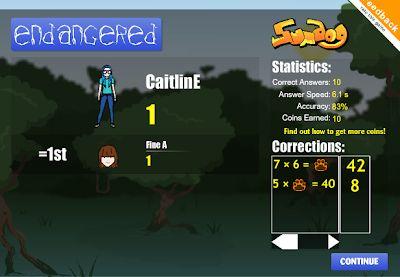 I played endangered and came 1st equal with Fine. This is my Term 4 tasks to complete. I have done alot of work the yellow high lighted part is the things that I have completed. 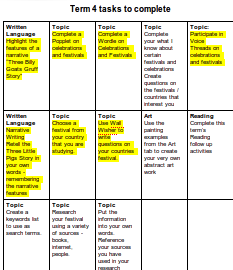 This is week I put in alot of hardwork in my work I hope you enjoy looking at my Term 4 tasks to complete. 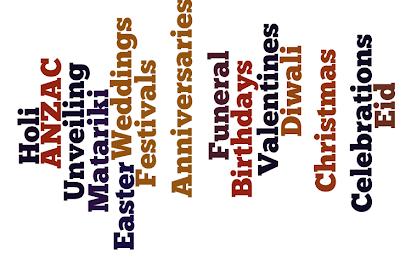 This is my wallwisher on festivals and celebrations. One sunny morning there were three little pigs. Their mum told them that they were old enough to live in their own homes. So they went off to find some stuff to build their houses. The first pig went to find some stuff to build his house and he found some straw. The second little pig found some sticks and the third little pig found some bricks. They started building their houses. The first pig built his house out of straw and it wasn’t very strong. Then along came the big bad wolf and shouted “Little pig, little pig let me in“. The first little pig said “Not by the hair on my chiny chin chin”. The big bad wolf said “Then I'll huff and I’ll puff and I’ll blow your house down”. So the little pig ran to his brothers house as fast as he could. The first little brother said “Let me in”. So the brother let him in just in time. The wolf followed the little pig to the second little pig’s house. The big evil wolf shouted “Little pigs, little pigs let me in”. Not by the hair on our chinny chin chins”. The wolf shouted “Then I’ll huff and I’ll puff and I’ll blow your house down”. So he did. Luckily the third little pig finished his house just in time for the little pigs to hide in his house. The big bad wolf did not see where they went until the first little pig stuck his head out of the window. The big bad wolf said happily “Dinner time mmm”. 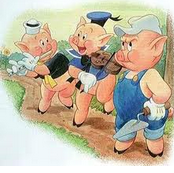 So he ran down the hill and got to the third little pigs house and shouted “Little pig, little pig, let me in”. The third pig said “Not by the hair on our chiny chin chins”. Then the wolf huffed and puffed and he didn’t blow the house down. So he tried again but he wasn’t successful. He climbed up the chimney and fell into a boiling pot. The third pig looked out the window and saw the big bad wolf climbing up to the chimney so he took the lid off the pot and the wolf fell into the boiling water. That was the end of the big bad wolf and the pigs lived happily ever after. 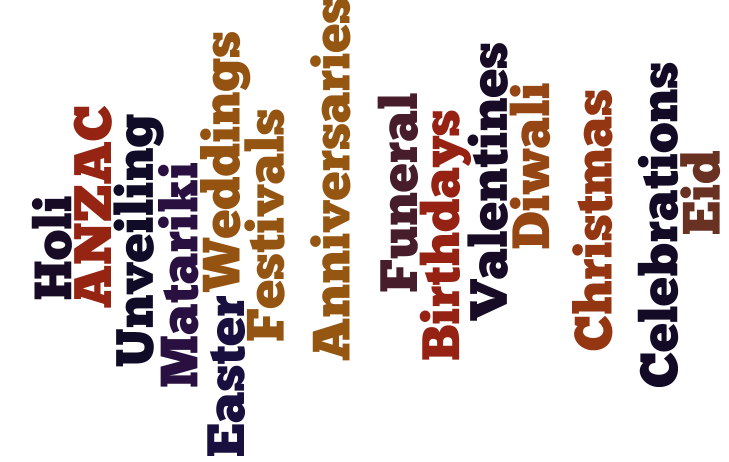 This is my Wordle on Celebrations and Festivals. These are celebrations that are celebrated around the world.